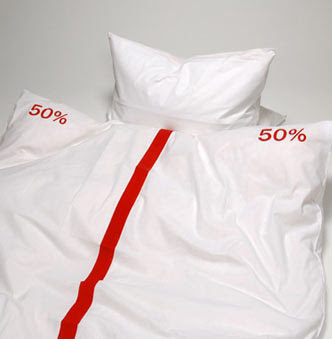 Unusual Bed Sheets and Creative Duvet Designs - Part 2. Here is a collection ‘Unusual Bed Sheets and Creative Duvet Designs’ from around the world. 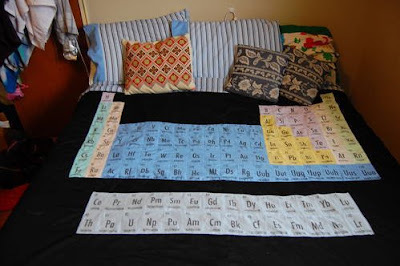 This duvet cover has the entire periodic table of elements on it. It was created by forum member cherry_blossom55 for her boyfriend, who is a chemistry major. With this duvet you can bring your favorite game to the bedroom (if you don't use it there). It comes with two pillowcases and a foam dice. "The duvet is clearly marked down the middle indicating how much of the duvet is covering you." Don't miss to check out "Creative Bed Sheets and Cool Duvet Designs - Part: 1| 2| 3| 4."